Today I want to talk to you about a simple system I use to drive targeted website traffic to my website’s using YouTube. It is really a simple system and you don’t even need to be on camera if you are not comfortable creating a face to face video. For me personally what works best is short videos that teach people something, share a free resource etc. This post is not going to be about how to create a video but I basically use a screen recorder that costs $12 per year and has all the functions of Camtasia. Now the next step could be done before or after you create your video but it is the most important piece to the whole puzzle. And yes it’s called Keyword Research. Keyword research is something that a lot of people really do NOT like to do but what they fail to realize is good keyword research is where A LOT of money is made online. Spending the time to find these keywords is definitely worth it if you are serious about creating a successful online business. And the great thing is once you get the hang of keyword research you can get in and out with a great keyword in about 5-10 minutes. Now the good thing about this approach (using YouTube) is that you can enter into a relatively high competitive niche and still make it to page one of Google fairly quickly. Once your keyword research is done it is time to either create your video OR if your video is already created, it’s time to upload it to YouTube and Optimize it for your keyword. Now it is VERY important that you follow the following steps to the T! Once that is done upload your video and go to step 2. 2. Insert your Keyword in the title of your YouTube video settings. This should happen automatically if you followed step #1. But you want to spice it up and add some attention grabbing text at the end of it. 4. Then you want to make sure you use your target keyword atleast once in your description area but do not over due it. If you write more then 200 words in the description then go ahead and sneak another one in there but be sure it flows with the text. 5. The last step is to go below the description area and you will see your “tags” insert your main keyword FIRST and then several variations of your keyword as well if you’d like. Once that is complete it is time to give our New video the JUICE it needs to race to the first page of Google. The next step I take is to send 100 Social Bookmarks to your video. I personally use SocialMonkee which allows me to quickly create 100 Social Bookmarks to 3 different URL’s per day. I always set the submission of my bookmarks to be dripped over 3 days. An alternate way is to use SocialMaximizer which is a paid service and you just create an account and once in your dashboard you add a new URL and select for your URL to be submitted to bookmarking sites with Pagerank 3 and up. With this system I am able to get videos to page one as quick as 4-5 days to 1-2 weeks depending on the competition. Nice lesson Joshua, video is very important. I use almost the same procedure to research keywords for a blog post. I would mention that the results you’re seeing in Google are unique to you (personalized search) so it’s pretty tough to judge competition with that method. Very detailed instruction, great job. Thank you Brian! And yes I take a similar approach when trying to rank web pages but take it a step further and analyze the top 10’s backlinks. Thanks for stopping by my friend! I think social networking is an excellent marketing and promotional technique. I understand its also good to put actual you tube videos on your website. Featuring one on your home page is also an excellent way to improve rank. I’m going to try more of this social book marking as you are suggesting as its great advice. Thanks,. 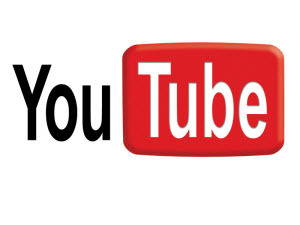 Yes Embedding the video on several websites, web 2.0 properties etc also helps for your video to improve its rankings. I would love to hear how it works out for you. Thanks for stopping by. Nice post bro… I really need to start using videos for my blog and overall marketing. Videos are way more powerful than boring text, thanks for the tips. While bookmarking is nice and all, videos work differently to normal search results. A cool trick for ranking super quickly on Youtube: Get rapid traffic and thumbs ups, lots of them. When your video takes off really quickly and gets a load likes and comments, it shoots up the Youtube rankings for your targeted keywords in minutes. I took my video, used a service to shoot 20,000 visitors at it, 200 likes and 50 comments in the space of a few hours and boom… the next day it was ranked #2 for “make money online” in the Youtube search results. Cool ehh? Just finished watching your video on keyword research. It looks simple and easy to follow and I know I just need more practice to get the hang of it. Videos should really be a large part of our marketing efforts since many people are visual learners. I, myself, like to follow step-by-step instructions on video. Yes it is quite simple. I do however have to point out that when I do KW research to rank a particular page I go a bit deeper and analyze the backlinks of the top 5 results. And you are 100% correct video has and will continue to take over. Nice tips and video to get targeted traffic from youtube, i knew it before but this article refreshed y mind so that i can use these tips again to drive more traffic using youtube, thanks for sharing! Hey Josh, great video and post! I wish everyone would get on board with YouTube so they can see how easy it is to create video. It’s very empowering too. Question – do you ever use the YouTube keywords tool? I don’t use any keyword tool at all. I just go to YouTube and type in the search box. It will pretty much start to fill in and give you a clue as to what people are searching for. Thanks again and I hope you enjoy your holiday! Same here Ileane! I love YouTube marketing and the competition is WAY less. Youtube keyword tool? didn’t know there was one lol I use Google keyword tool and Market Samurai. I do a lot of SEO for my niche websites so to me Keyword research is EXTREMELY important. And yes I too have found some great KW’s from Google showing me what others search for. Thank you for stopping by my friend. And thank you for the scoop.it pingback YOU ROCK! Cool looking website too. Will be joining up. You’re ranking well for this term in Google already!! Good for you. Cool video Joshua! I love how you explained it so well. I have just created my youtube channel and I’m learning how to get more views for my videos, and I have to admit that your tip is just a great help to get more views via search engine. Another step that gets you ranked extremly quikly is creating a closed caption file with your keyword in it. I have noticed great results by doing this for various clients in highly competitive niches! Hey Kevin, what do you mean by a closed caption file? Never heard of it? There are just so many ways to gain more traffic and one of them is this, using Youtube. Our company is doing the same one since last year and as an employee, I still do wanted to learn more and to gain more knowledge in using this. OnlyWire is also a good source of automatic bookmarking. very nice explanation brother , really i don’t know that keyword research was also helps in video promotion,cool share . Glad I can help Sai! Thanks for stopping by my friend and happy new year!